Marcia C. Inhorn is the William K. Lanman, Jr. Professor of Anthropology and International Affairs in the Department of Anthropology and Whitney and Betty MacMillan Center for International and Area Studies at Yale University. A specialist on Middle East gender, religion, and reproductive health issues, she is the author of six award-winning books, including The New Arab Man: Emergent Masculinities, Technologies, and Islam in the Middle East. She is also co-editor of this Berghahn Book series on Fertility, Reproduction, and Sexuality. Nefissa Naguib is Professor of Anthropology at the Department of Social Anthropology, University of Oslo. Much of her work has focused on rupture and displacement, particularly in the Middle East and the Mediterranean. She has written on memory and diaspora, food activism and the politics of water, and local responses to global crises. Current research centers on Syrian refugees arriving in Norway by way of the Arctic Circle. 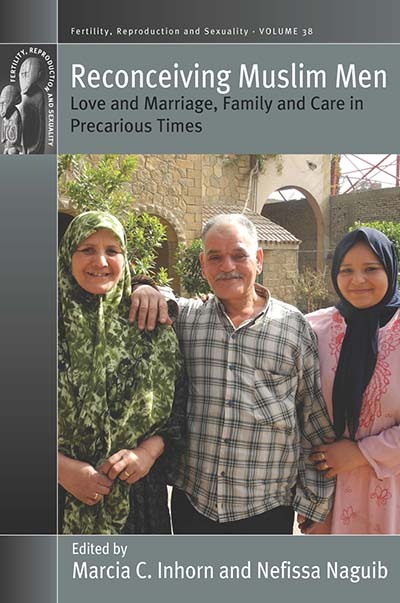 Her most recent monograph is Nurturing Masculinities: Men, Food, and Family in Contemporary Egypt. Chapter 4. From Soft Patriarch to Companionate Partner: Muslim Masculinity in Java since the "New Order"